Today, I am living in the midst of an inescapable election campaign. Instead of igniting me, it wearies me. Why must it be this way? I think it is the media coverage that makes it wearisome with its focus on gossip and innuendo instead of the candidates’ stated approach to the issues facing the country today. I am ever interested in opportunities to observe political elections in other countries. I recall Uganda’s walls of multiple politician faces, the impassioned speeches in Italy’s public squares, the female candidates in head scarves in Jordan, and the posters urging you to vote for women in Ghana. 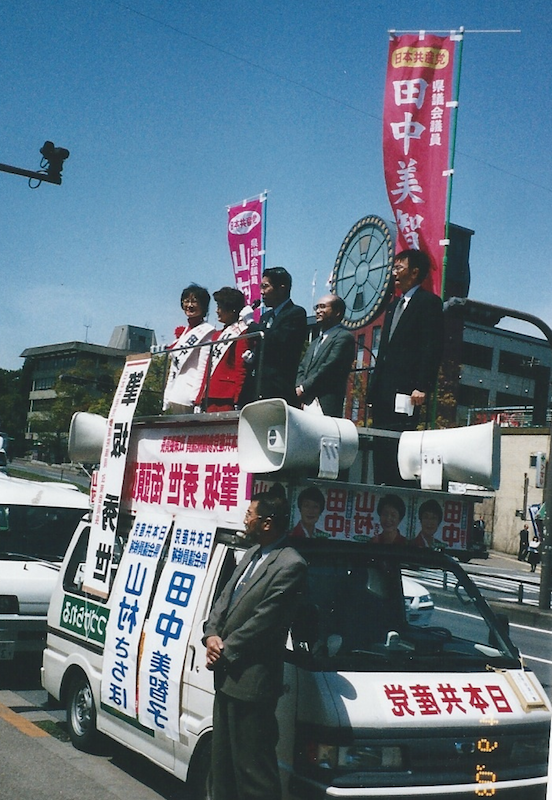 In the Japanese elections in April 2003, advertising seemed discrete. 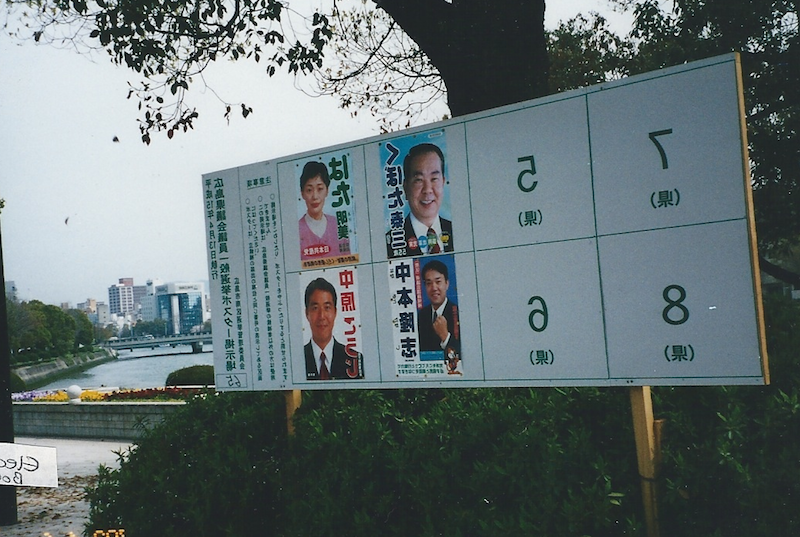 Election boards allotted a square for each candidate’s poster. Street side speeches atop vehicles garnered polite applause. I couldn’t understand what either side was saying. Somehow though, I listened more carefully then than I do to the USA sound bites today. My saturation point with election coverage was reached weeks ago. But we have another week of talking heads telling us what is vital to the election. Please don’t forget to vote on November 8th if you are in the USA.